Alarming circumstances prompt Sara to leave her job at Northwestern University and her live-in partner, Larry. She disappears into northern Michigan and begins a summer job as a re-enactor at Mac Fort. There, she meets Jonathan, curator for the Parks Department. The two feel immediate rapport for each other, yet Sara fears that when Jonathan learns the truth about her past, he will sever his warm association. Among others at the Fort, Sara meets Hillary and becomes ensnared in helping the young girl after she threatens suicide. About the Author In summertime, Jean resides in Michigan near Fort Michilimackinac, hence her lifetime interest in the area. Slipping the Fold, Jean’s first book, also took place in and around the same Michigan Fort. To learn more about the inner workings of the Fort, Jean volunteered for two summers to screen artifacts and observe the interpreters at work. In winter, Jean and her husband, a retired science professor, live in Manhattan, Kansas near Kansas State University where she received her Bachelor of Fine Arts degree in painting. Cover painting by Jean M. Ponte. 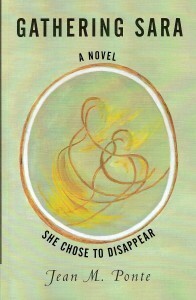 View more books in the genre "Women's Fiction".